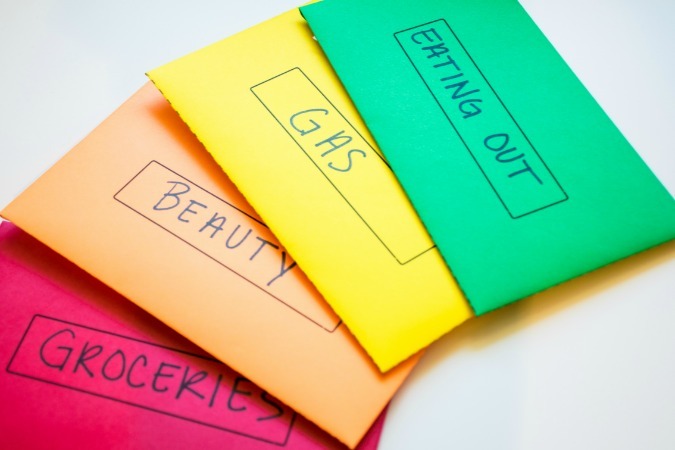 Are you perpetually disorganized when it comes to bills? We’ve been there! 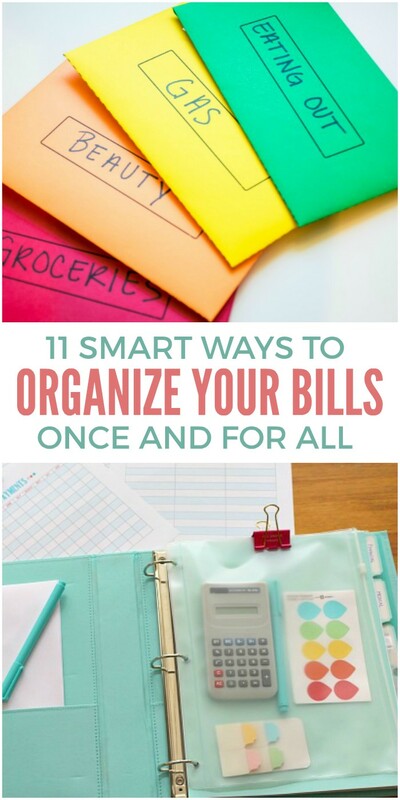 Here are 11 genius tips that we’ve found to help you keep track of your bills and keep them organized. 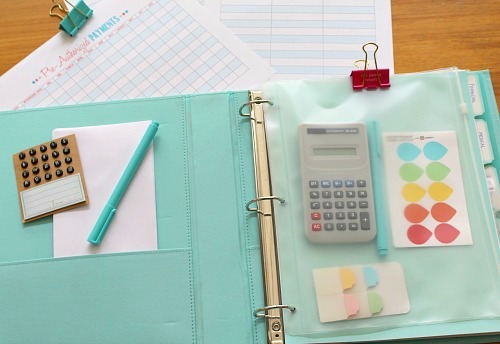 No matter if you’re a pen and paper type or a spreadsheet fanatic, you’ll find some useful bill organization tips here. 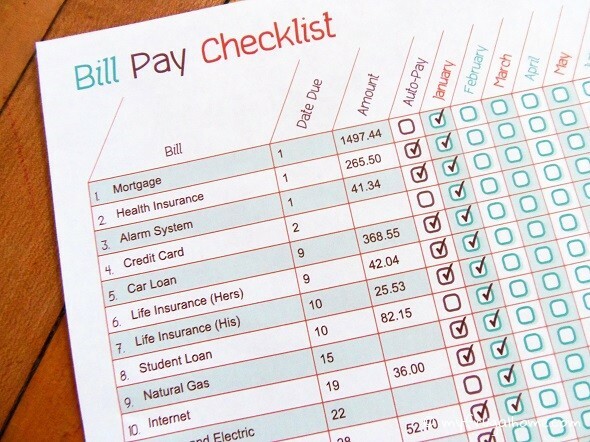 Use a printable bill checklist to check off your bills as they’re paid each month. 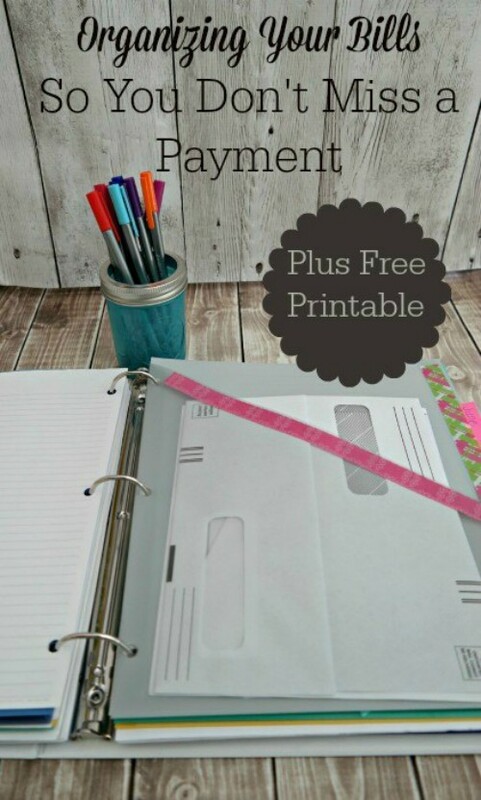 This printable even includes an auto-pay column so that you can easily check off any bills that are deducted from your accounts automatically. If you’re like most of us, you use your debit card a lot and may lose track of receipts now and then. 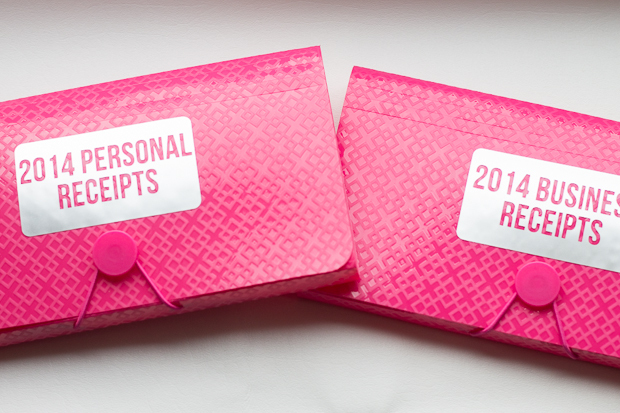 These receipt organization tips help you keep them organized, especially if you have to track both personal and business receipts. Want to make a budgeting system that’s completely customized to your family’s unique situation? 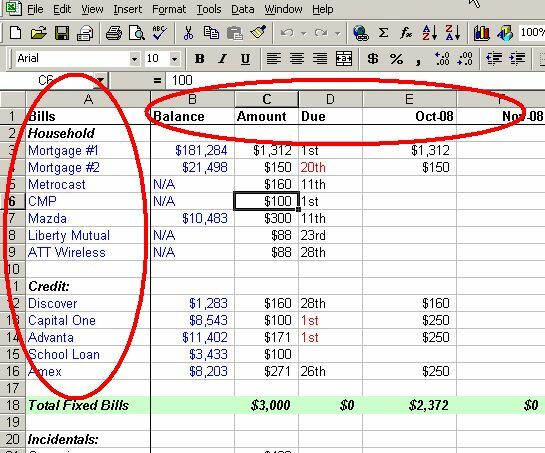 Follow these tips to create an excel budget spreadsheet with only the items that you need. So, paying bills isn’t exactly most people’s idea of a good time, but it would be a lot more enjoyable to sit down at a pretty bill payment center like this one to pay bills. There’s a place for incoming and outgoing bills, a bill tracker, a record of accounts, and so much more! No room for a command center? Think again! 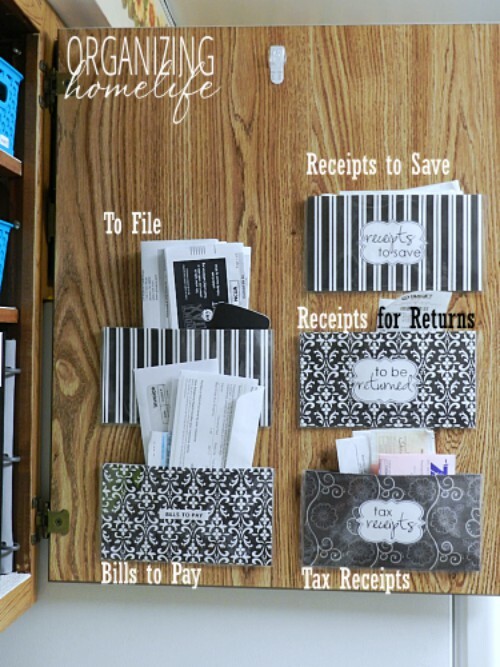 This cabinet command center is doable in any home, and it’s pretty practical if your kitchen is one of the first rooms you walk into. Here’s an alternate system: a bill payment binder. We love how it includes everything in one tiny spot… even a calculator so you don’t have to dig through the junk drawer (or your kids’ backpacks) to find one. 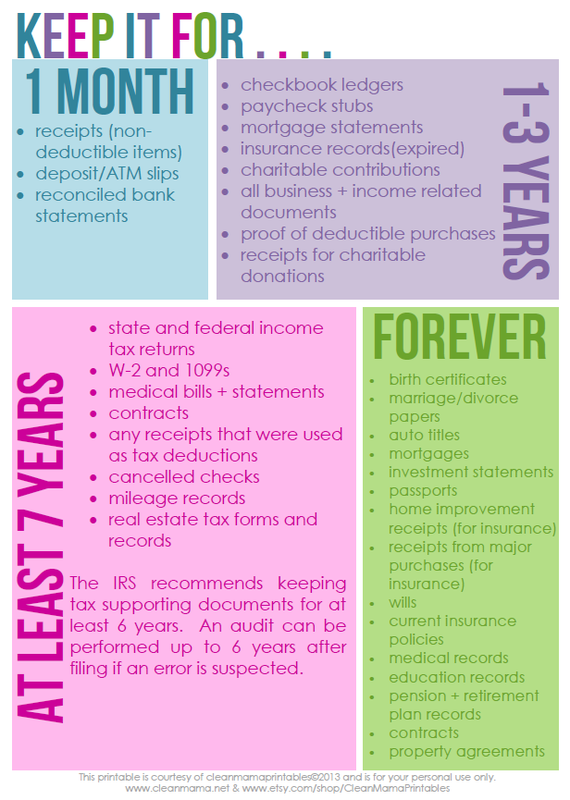 Wondering how long you should keep medical bills, mortgage payments and the like? Here’s a handy chart! Looks like I haven’t been keeping some of our bills nearly long enough. If you haven’t heard of the envelope budgeting system, you’ve got to try it. You put cash in envelopes for expenses that tend to get a little out of hand, and once the cash is gone, that’s it! You have to wait until your next paycheck to replenish it rather than spending from somewhere else or charging it to a card. Stash return envelopes in a pocket in the front of your bill binder and use a hole punch to put the statements inside. It’ll keep things much neater during the month. 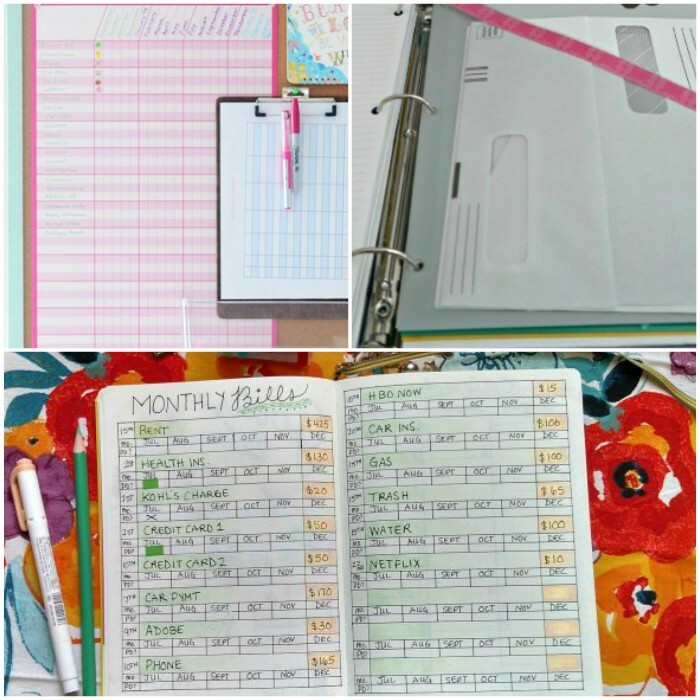 Are you into bullet journaling? If so, that may be the perfect place to keep track of your finances. Check out this bullet journal bill tracker for inspiration. 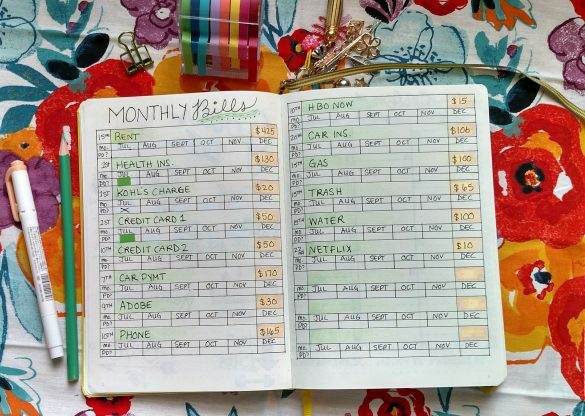 Keep track of when bills are available and when they’re paid in a monthly planner. 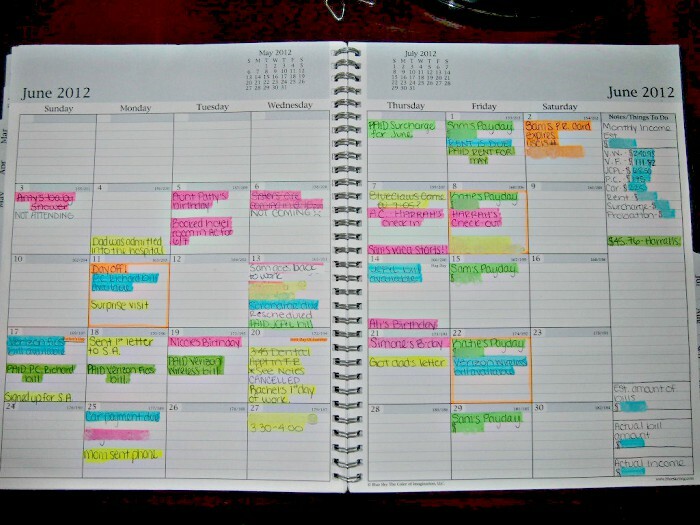 For pen and paper people like myself, this is a much better method than trying to track everything online. 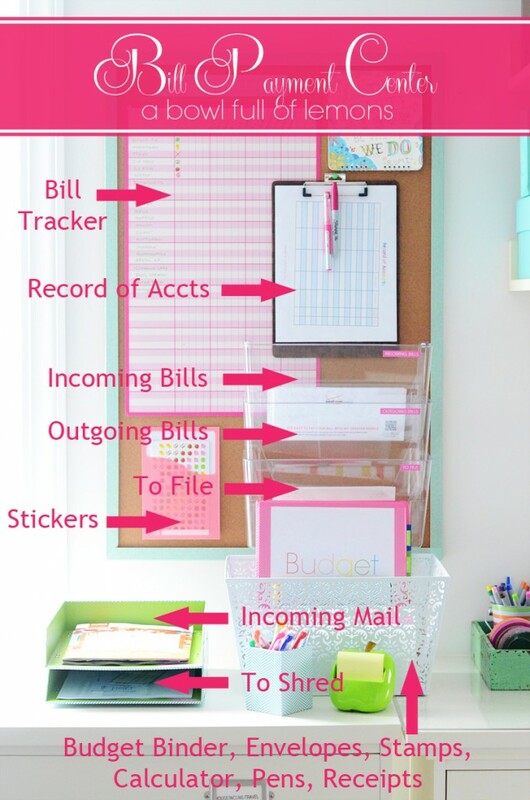 How do you track your bills? Share your tips with us on our Facebook Page!